Cloudbilt provides Salesforce Apps specializing in Sales Intelligence and Adoption, Audit & Compliance. Our Apps turn your data into actionable information. John co-founded Cloudbilt, then known as Saber Solutions, with Ben Brantly in 2009. The Saber name was initially used in 2003, when John founded Saber Design and Analysis Services to provide engineering and manufacturing consulting services to the aerospace and defense industry. Saber Tactical was formed in 2008 as a division providing a complementary line of high precision firearms. 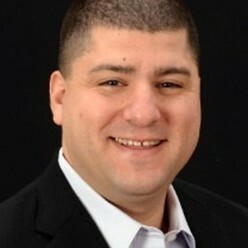 John sold Saber Design and Analysis Services in 2009, staying on as Chief Operating Officer until 2011. Under John’s leadership, Cloudbilt grew from just two employees in 2009 to more than 30 employees in 2013, launched three successful products on salesforce.com’s AppExchange and opened offices in Charlotte, NC and Atlanta, GA. The company was rebranded as Cloudbilt in May 2013. John was born in New York and holds a Bachelors of Science degree in Mechanical Engineering from Worcester Polytechnic Institute in Massachusetts. CEOCFO: Mr. Stewart, what is the concept at Cloudbilt? Mr. Stewart: We are an ISV, an independent software vendor, who develops applications exclusively for salesforce.com’s AppExchange. We make products that fall into two categories; either sales intelligence or audit, adoption, and compliance. We currently have three products listed. We have two more that are coming out sometime in mid to late 2014. CEOCFO: Is there a flagship product for you? Mr. Stewart: Our flagship product is MapAnything™. It is a Salesforce native mapping application that provides real time geo-location, territory management, and analytics. The App provides value across multiple corporate functions; Marketing, Operations, and Sales. But the primary use case has been as a field sales and service productivity tool. CEOCFO: What does it do? Mr. Stewart: As the name implies it lets you map any of your Salesforce data, any object, whether custom or standard, on a map. With the mobile version of MapAnything, sales people can run scenarios such as, “Here is where I am standing. Show me my nearby leads, contacts and so forth.” It’s a tool that sales managers can use for active sales person management, territory management, and geo-analytics. Marketing teams can use it for location based campaigning; it has many different use cases. CEOCFO: Why are all of your products top of the line? Why should people be using what you have developed rather than those of the competitors? Mr. Stewart: MapAnything has a couple of core pieces of intellectual property that gives us our big advantage over the other mapping vendors with applications on the Salesforce.com AppExchange. Our key differentiator is our cross object query engine, which lets us traverse the Salesforce data structure. After all, you cannot actually see something on a map if you cannot get to the data. Once a company’s data is displayed, MapAnything lets users work with the information from the map. It is more than just visualization; MapAnything is a map-centric user interface for Salesforce. Our enterprise-level companies love our query-caching engine, which lets us deal with large data volumes. When you start getting into the tens of millions of records, you need a solution that can scale to handle the visualization of that many records. We tell our clients all the time that we are much more than simply pins on a map. That is pretty easy to do. It is all of that other functionality around the enterprise deployment and dealing with those challenges that makes us different. CEOCFO: How have you decided what solutions to work on? Mr. Stewart: It really has to do with “White Space” in the standard Salesforce offering and how much value a potential solution would bring to a client. Whenever I am building an application that fits into someone else’s cloud based ecosystem, there are questions that drive my decision process. “Is there a business model here? Is the additional value of whatever product Cloudbilt is building large enough that someone will spend money on it? Is the “White Space” problem we are solving justifying an application?” Then there are the economics. “How large is the potential addressable market? What price can I get for that solution relative to the level of effort to develop it, support it, market it, and sell it?” I really consider those two variables to see if it makes sense. And then of course there is a bit of competitive analysis to determine if someone else has already done something similar. CEOCFO: Would you tell me about the two new solutions you are developing? Mr. Stewart: The two solutions that we are working on that are not released yet are ezInfoScrambler and VisualizeAnything; one App is a compliance product and one is a sales intelligence product. ezInfoScrambler deals with protection of personally identifiable information, like PHI or PFI, in the sandbox environment to meet compliance with regulations like OCC rules, HIPPA, SOAX etc. ezInfoScrambler scrambles, obfuscates, or purges the Salesforce data after it gets to the Sandbox to keep companies in compliance with regards to personal information in a non-production environment. The other product is VisualizeAnything. The best description of it, if you are familiar with Salesforce, is an enhanced list view or report. In essence, it is a spreadsheet that is native and imbedded inside Salesforce. This product leverages our cross object query IP. One of the common business challenges this App tries to addresses is that Salesforce users often have to export their data to a spreadsheet or SQL database to execute advanced manipulations. Then they have to re-import those changes to their records. Our product concept is that if you had that functionality inside Salesforce, a user would not have to do that; thus saving time and avoiding data issues around aging and security. CEOCFO: You have had a change of name not too long ago. Why? Mr. Stewart: We started the company in 2009 as a services company specializing in building ERP and MRP solutions on the Force.com platform. The name of the company was Saber Solutions, which had some heritage with a previous company of mine. The reason we changed it in May of this year was because our business has matured and evolved. We have started to move away from doing the contract services business. We have been slowly phasing out that business line and focusing just on our “off the shelf” products and applications. The word “Solutions” in a company name typically implies a services company. The change in our offering prompted our timing to rebrand so that our name matches the strategic direction of the company. It was the right thing to do and signified the start of our next chapter. CEOCFO: What are the challenges in rebranding? How have you been successful so far? Mr. Stewart: I did not think that rebranding was that big a deal once we found a name and slogan that conveyed the proper message. The bigger challenge was actually shifting focus and moving away from being a services company to a software company. Since we really had not made a big push to market and sell our products up until the point we rebranded, the transition to using the new name associated with our existing product names was not difficult. It has actually been beneficial because it is easier to explain the Cloudbilt name than the Saber Solutions name. Besides the normal legal and trademark issues, the rebranding went smoothly. Now, the challenges of moving from a services company to a software company are far more considerable; especially without having a venture capital backstop. We are organically grown, having driven the creation and growth of our software company off of our services revenue. It is a careful balancing act; tapering off the services revenue as we increase our software revenue. This can be very, very challenging from a cash flow standpoint in a smaller company. With the shift in focus, we needed to change our sales and marketing model. The way in which a software company markets itself is very different from a services company. We needed to have the right people on board with the right personality types. CEOCFO: There have been many add-ons for Salesforce. How do you get attention? Mr. Stewart: You have to market, market, market. For us, we do two types of marketing. We market to salesforce.com employees to get their MindShare and we target Salesforce customers. We participate in all the Customer Company Tour events. We are participating in Dreamforce again this year for the second year in a row. We do email marketing campaigns. We have an inside sales team that basically does “smiling and dialing”. Then again, if you want to sell to enterprise companies, you have to act like an enterprise software company. Therefore, we just hired our first two outside enterprise sales reps. One came on board the first week in September and the other one is coming on board October fifteenth, roughly two weeks from now. This is part of the transition from services to software and we will continue to expand our enterprise sales team next year with six more positions. Much of our success in building brand awareness is due to marketing and co-marketing with salesforce.com at their events. We try to take advantage of the resources salesforce.com makes available via their ISV team. They are incredible people and salesforce.com has a fantastic partner program. They will give you all the help you need if you are willing to take advantage of it. I have worked in other industries before founding Cloudbilt and I do not think any other company runs a better partner program. It is up to us to execute but it is not from a lack of resources or opportunities made available from salesforce.com. This is our most important relationship since the only Apps we make are Salesforce Apps. CEOCFO: When you introduce any of your products do people understand them easily? Is there a common “aha moment” or are some more easily understandable than others? Mr. Stewart: Generally speaking, they are pretty self explanatory. The easiest way to sell is to tell a story. Nothing tells a story better than a map. People are visual and we have that advantage with the MapAnything product. When they are looking at it they “get it”. They can easily understand how it works. They can think, “Here is where I am and here is where all of my customers are”. Or they can ask, “My employees are located here, and my leads are there, do I have enough coverage?” With this advantage, we do not have to go through the exercise of trying to get people to “get” what we are doing with our flagship product. Now, a few of our other products are niche from the standpoint of how they are marketed and sold. In these cases, people are aware of the business problems they address and I do not need to explain why our solutions are important. For example with our ezInfoScrambler product, we talk to users familiar with HIPAA compliance, OCC compliance, PFI, and PHI. The prospects that are looking for this type of solution understand why it is necessary. CEOCFO: How is business going now? Mr. Stewart: Good! It has been going very, very well. We have been growing two hundred percent year over year for last couple of years. We will do hundred percent growth this year. Our forecast for 2014 is looking like another hundred percent growth, so we are pretty pleased with that. Mr. Stewart: We have offices in Charlotte and in Atlanta. I have a few remote employees scattered about the country. However, we have customers all over the world. We are actually opening up a reseller network to sell our products via channel partners in other countries. It is challenging to support overseas clients directly, from both a language and a time zone standpoint. It makes better business sense to develop relationships with local integrators to sell and support our products. CEOCFO: Talking about support, how do you provide it and how do you provide the exceptional support that everyone says they provide, but usually do not? Mr. Stewart: Most support issues come from a lack of training. Therefore, we try to eliminate that issue by making sure we over train our new customers. Training is always free when our products are bought, so we will jump on GoToMeeting® and we will do GoToMeeting’s all day long with our clients until they feel comfortable and confident. We try to do the installations for them, which is one of the nice things about being a cloud company. Of course, we have support materials, video snippets, guides and that sort of thing, but we do not really get many support calls for our products. It is fairly minimal. We had seven or eight support tickets last month generated by a customer base of 400 plus. That is pretty good! CEOCFO: What is the key to being user friendly? Mr. Stewart: It has to do with the user experience when designing a product. Products need to be designed for common use cases. Those use cases and recurring scenarios need to be thought through. When they are well planned, training users on those use cases is easy. You could have a thousand features and many complicated menus, but if you build it in such a way that it is configurable to the client’s use cases, and our products are designed this way, then their perception is that turning it on and getting to what they want to see takes two button clicks. Then the user experience is a home run from their standpoint. It is really about designing around the use cases and training for those use cases. I think this is how Apps get reputations for “easy to use” verses “not easy to use”. CEOCFO: Do many of your customers use more than one of your tools? Mr. Stewart: We have many customers who use MapAnything and one of the other products; MapAnything and ezFileLoader™ or MapAnything and ezCloudAudit™. Again, MapAnything is our flagship product. Mr. Stewart: On the short-term we have the Customer Company Tour in Atlanta where we are platinum sponsor and we have Dreamforce 2013 in November where we are an Exhibitor again. We are continuing to grow. We are going to be placing six more people in the field next year to expand our enterprise sales team and drive revenue. Of course, we have our new products that we discussed early that will be coming out mid 2014. CEOCFO: What surprised you as the company has developed? Mr. Stewart: What has surprised me is the level of demand and market potential that we have seen. It has been gratifying and It has been validating more than anything else. We “got it right” with our products when we brought them to market and the salesforce.com community has been very receptive to them. The wonderful aspect of the Salesforce marketplace is that the demand does not seem to taper. Salesforce.com has a large number of customers; anywhere from one hundred and eighty thousand to two hundred thousand customers. I have heard every number that you can imagine between those two ranges and they continue to grow at a crazy rate. Whatever the real number is, it is an endless supply of users who could potentially buy a product when you consider it in those terms. MapAnything has so many applications and applies to so many different industries, that we will never run out of people to sell; no matter how much marketing and selling that we do. The best decision we made was to be a salesforce.com ISV because of this reason. The demand and market potential has been a very pleasant surprise. CEOCFO: Why should investors and people in the business community pay attention to Cloudbilt? Mr. Stewart: I will not speak to the investor community. They have their own criteria on which companies to track and follow. However, if someone is in the business community, there is a pretty good chance their company is a Salesforce customer or about to be. Either way, the reason these executives want to pay attention to Cloudbilt is because the biggest challenge they will face with Salesforce is user adoption. They will not realize the full ROI from Salesforce unless their employees adopt it, use it and make it part of their everyday business processes. Cloudbilt’s products solve real business problems. We can accelerate a company’s Salesforce user adoption and help maximize their ROI in Salesforce. We can give business users new ways to use their own data to make better decisions. The way we help companies make faster, more intelligent decisions is why the business community should pay attention to Cloudbilt.